Shown here in our dark grey matte and dark red matte, these cute dot wall stickers can be arranged however you like! The second picture shows our polka dots in a less geometric pattern in our dark brown matte and pale pink matte. The sizes and quantities that you'll receive PER COLOR are listed below, for a total of 192 polkadots! You can even add a 3rd color of polka dots if you like! Just select the third color and we will include an additional sheet of 96 polkadot wall decals to your order. Need other sizes? Just contact us! 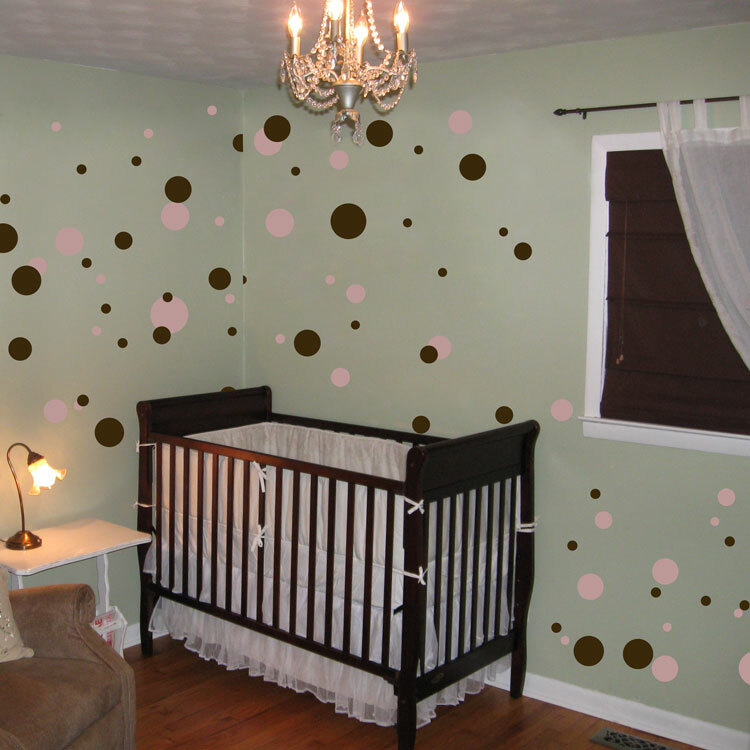 We just revceived the Circles-Bubbles decals and started to install them our daughters rooms. We are pleased with the quality and simplicity of installation. They finish the room nicely, and our daughters love them. We are very happy with this product.